Log in to your account, here. After logging in, you will see a list of your orders. 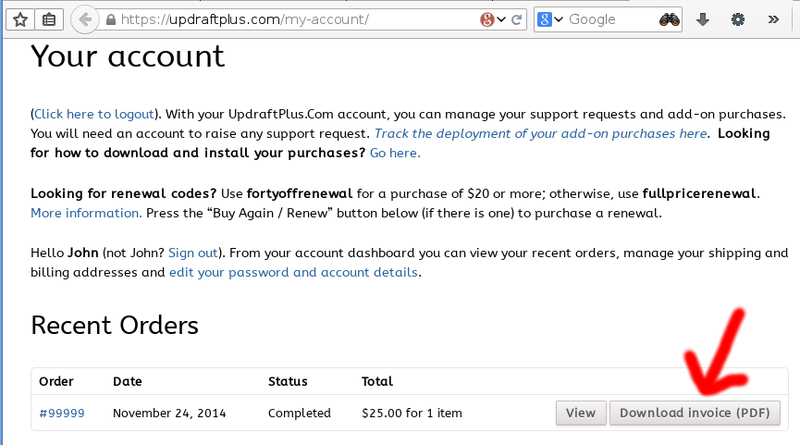 Click on the “Download invoice (PDF)” button next to the relevant order.